Catskilljon has attached this picture to this report. The message is below. Posts: 160 For the first time in a couple years, I consider myself fortunate to have caught a few on the opener weekend! Typically the conditions are better for skiing than fishing, but this year the Catskill fishing gods blessed us with at least a couple days of nice weather that quickly went south [or maybe north?] on Saturday night to Sunday. Snow, high winds...not great for fishing. 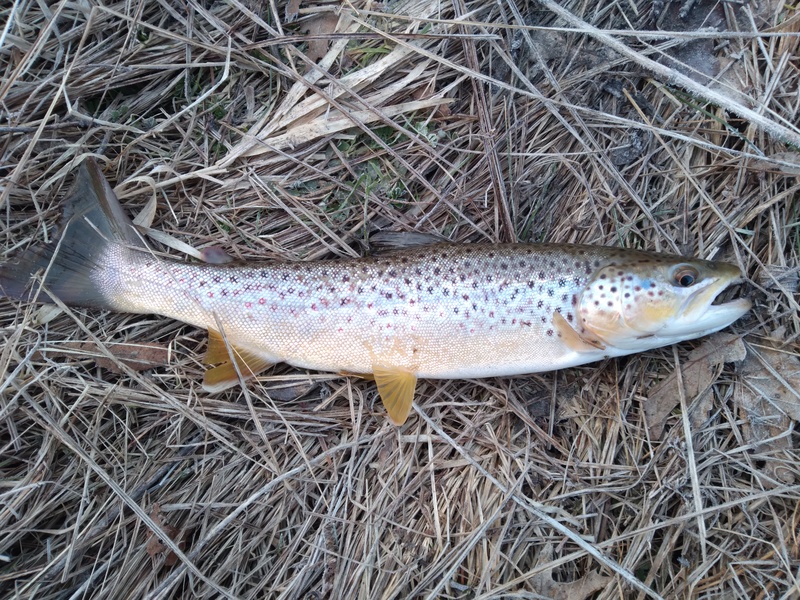 I got this one on a nymph [no dry flies yet, not with sub 40* water] and another a little smaller, and lost one almost at the net. 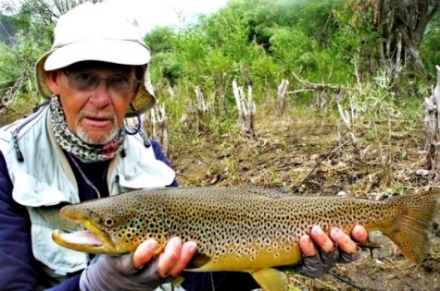 Posts: 2468 Very healthy brown trout. Must of fed well throughout the winter to be so well conditioned. 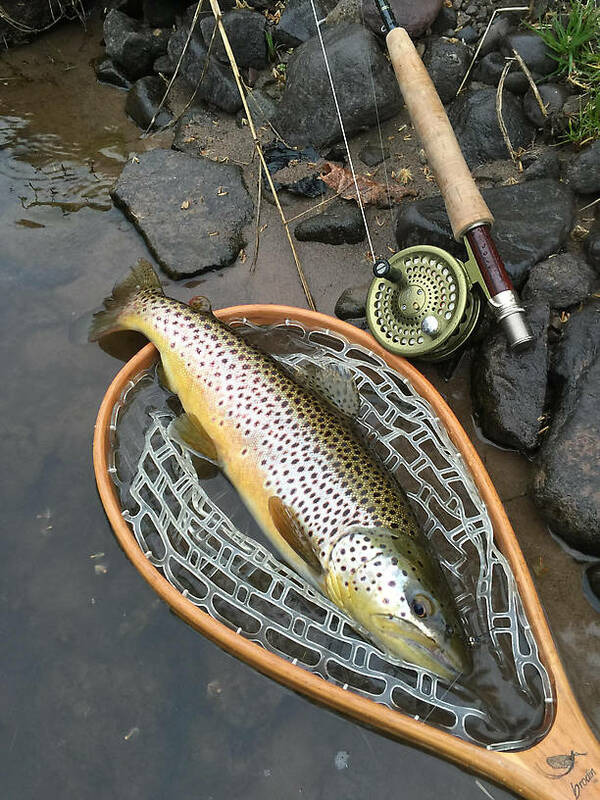 Posts: 209 Beautiful fish catskilljon, that's the way to start the season, I hope it only gets better for you. Posts: 106 Nice one, that must have put a smile on your face. But nice one John. Keep up having fun. I'll try to do the same. Nice looking trout and a great picture suitable for a frame! Just what we need to see here in Michigan...Our traditional opening weekend is this upcoming one, the so-called "Last Saturday in April". I have been chained to the tying desk lately trying to put some final touches on the over filled fly boxes...I have heard that the Hendrickson and Baetis are going already. We got a spring downpour last night late, but not sure what they may have seen up around Grayling. Somewhere here Jonathon asked if I was making the opener this year...Yes. My club has an outing at the Riverview Lodge (our club filled up all the spaces) at McMasters Bridge and the mainstream of the Au Sable. 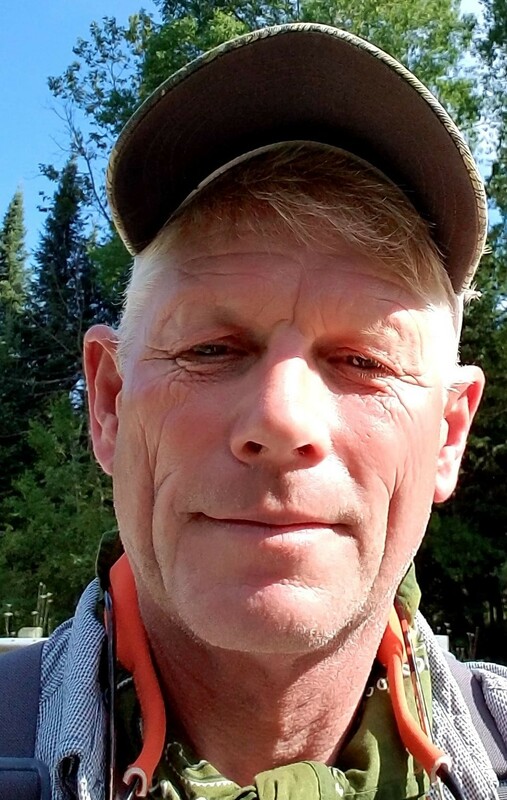 On the opening day morning (Saturday 9-11) we have a memorial breakfast (Bloody Mary's, Mimosa's, and donuts...:) at Gates' Au Sable Lodge's "Boardroom"...The breakfast is a remembrance for all our old angling friends no longer with us save in spirit and memory. It's a happy event, but yes I'll admit a few tears are shed. Thanks again for the great "warm-up" photo! That's a great way to get the season started...On a very hopeful note. Everyone...Have a great fishing season! Posts: 2345 Saw a lot of bass and sunfish in the Marsh today on my class field trip...might hit that tomorrow. We got PLENTY of rain up here, Spence, so streams are likely to be high and muddy (they were already high from the last snowmelt, only a couple of weeks ago). Collected a few big dragonfly and damselfly nymphs, so we should be seeing those critters on the wing soon. We need more warmth! Very nice looking brown trout! I will be targeting them soon, if we don't get any more rain the streams should be fishable shortly after the opener. Posts: 160 Thanks guys! I came back from another weekend up there. Opened the house up, no winter damage at all...even the mice seemed to go somewhere else. Hit a few of the smaller Delaware tribs near me, water warmed up quite a bit since the opening weekend. 58* if you can believe that, in mid/late April that's a little warm for my liking. I saw Hendricksons, but my sources tell me they are nearly over...one of my buddies sent me a March Brown picture today. 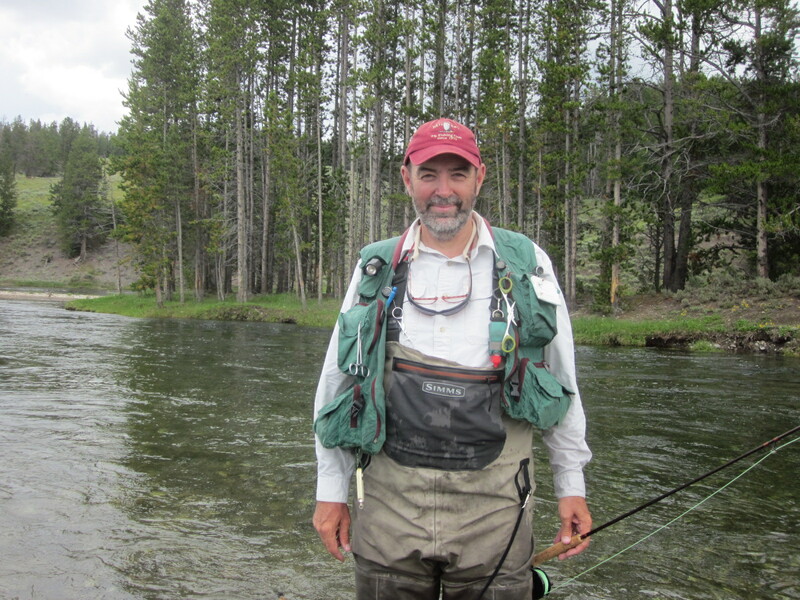 My stream had blue quills, Q Gordons and some small caddis, I caught 1 Hendrickson in my hat. ps...Spence...I had that photo blown up and framed it, its hanging in the Catskill place right now! Good call bro! Posts: 2345 Well done CJ! Gettin' itchy here...but the Rifle will likely be scary for the next few days, we got walloped pretty good last night, thunderstorms and all. You're waaay ahead of us right now...hit 'em hard while they're biting! Re: Steelhead on the fly! !